2 Bedroom Terraced House For Sale in Stockport for Offers Over £140,000. 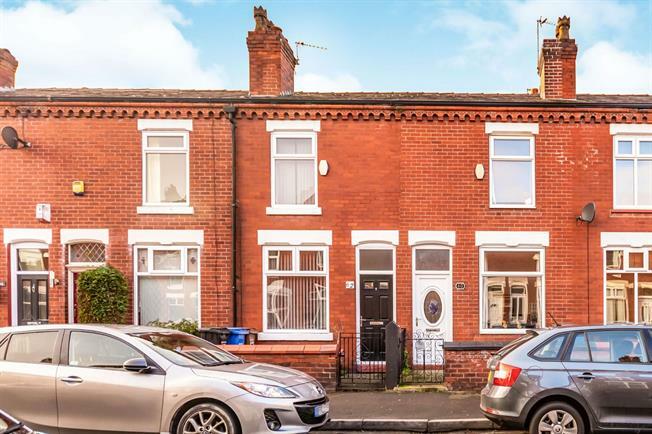 This simply stunning two bedroom mid-terrace family home had previously undergone full refurbishment and has been maintained to a high standard. The property is bright, spacious and in brief comprises internally of; reception room to the front, second reception room to the rear with access to a front cellar chamber. To the rear of the property is a modern fitted kitchen. Upstairs the property has a large master bedroom, second bedroom and a family bathroom. Externally the property is garden-fronted and has an enclosed yard to the rear. This would make a perfect purchase for any first-time buyer or buy-to-let investor.